Highlights of the Carabao Cup fourth round match between Arsenal and Blackpool. Arsenal reached the Carabao Cup quarter-finals for a third successive season as they edged past Blackpool with a 2-1 victory at the Emirates Stadium on Wednesday evening. The Gunners took the lead in the 33rd minute thanks to Stephan Lichtsteiner's first goal for the club, before Emile Smith Rowe doubled the advantage early after the interval (50). However, Matteo Guendouzi's dismissal in the 56th minute for two bookable offences gave Blackpool a lifeline and they pulled a goal back through Paudie O'Connor (66). It set up a tense finish but a straight red card shown to O'Connor for a late challenge on substitute Pierre-Emerick Aubameyang ended the League One side's challenge, as Unai Emery's side, who will face Tottenham in the last eight, extended their unbeaten run to 13 matches in all competitions. Arsenal handed a debut to 21-year-old defender Julio Pleguezuelo, while Carl Jenkinson made his first appearance for the club in 701 days but neither were really tested in the opening stages as the hosts dominated possession. Arsenal: Cech (6), Jenkinson (6), Mustafi (7), Pleguezuelo (6), Lichtsteiner (7), Guendouzi (6), Ramsey (6), Smith Rowe (7), Maitland-Niles (6), Mkhitaryan (6), Welbeck (6). 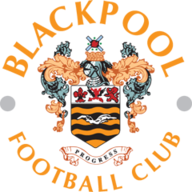 Blackpool: Howard (6), Nottingham (6), Heneghan (7), O’Connor (6), Bola (7), Turton (6), Spearing (7), Guy (6), Thompson (8), Feeney (7), Delfouneso (6). Subs: Pritchard (6), Cullen (6), O’Sullivan (n/a). Man of the match: Jordan Thompson. However, chances were few and far between until Guendouzi's inch-perfect pass released Lichtsteiner, who slid in to divert the ball past Mark Howard and into the bottom corner. 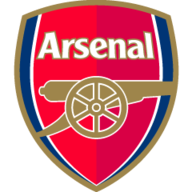 The Gunners doubled their advantage five minutes after the restart, with Smith Rowe turning the ball in from close range after Jenkinson's cross had been palmed into his path by Howard. Blackpool almost responded immediately when O'Connor rose highest at the far post to meet a corner, but with the returning Petr Cech poorly positioned the ball cannoned back off the crossbar. The League One side's confidence grew again in the 56th minute when Guendouzi, who picked up his first yellow card in the first-half for a foul on Thompson, was shown a second yellow card for pulling back the same player. The Frenchman will now be suspended for Arsenal's Premier League clash with Liverpool on Saturday. Cech and Maitland-Niles both returned from injury as Arsenal made nine changes from the side that drew 2-2 with Crystal Palace at the weekend. Meanwhile, Blackpool made two changes from the side that lost 3-2 to Fleetwood at the weekend. Nottingham and O’Connor came in to the side in place of Tilt and Gnanduillet. The visitors then pulled themselves back into the game in the 66th minute when O'Connor rose again in the penalty area and this time his header picked out the bottom corner. Cech's blushes were then spared by the offside flag after he was caught in possession by Jay Spearing trying to play out from the back. Nathan Delfouneso turned the ball into an empty net only to see the goal correctly ruled by the offside flag. Blackpool's challenge eventually came to an end when Pierre-Emerick Aubameyang was scythed down by O'Connor, who was shown a straight red card with six minutes remaining. Arsenal have reached the League Cup quarter-final for the third consecutive season - they've eliminated non-Premier League opponents in the fourth round in each of these seasons, beating Reading in 2016-17, Norwich City in 2017-18 & Blackpool this term. 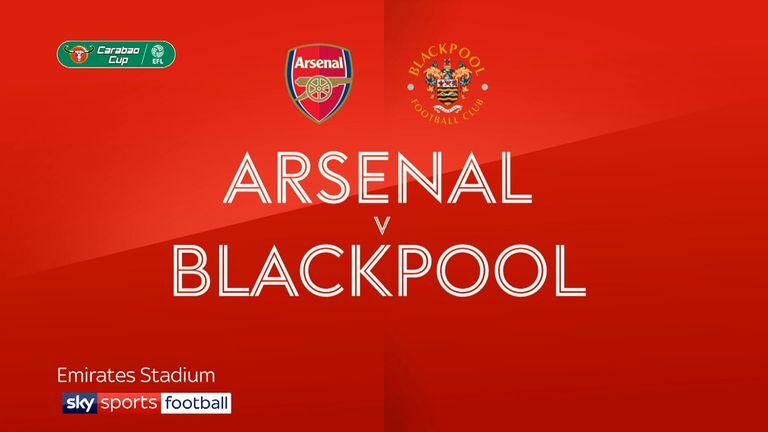 Blackpool are winless in their last 15 away matches against Arsenal in all competitions (W0 D4 L11). Matteo Guendouzi is the first Arsenal player to be sent off in the League Cup since Denilson against Blackburn Rovers in December 2007. Stephan Lichtsteiner became the oldest player to score a competitive goal for Arsenal since Sol Campbell scored aged 35 years 152 days against FC Porto in February 2010. Emile Smith-Rowe has scored in each of his last two appearances for Arsenal in all competitions. Blackpool's Paudie O'Connor is the first player to both score and be sent off in a single League Cup match since Lewis Cook for Leeds United v Doncaster Rovers in August 2015. Arsenal are back in Premier League action on Saturday against Liverpool at the Emirates Stadium (5.30pm). Blackpool are also back in league action on Saturday when they face Bristol Rovers at Bloomfield Road (3pm) in League One.